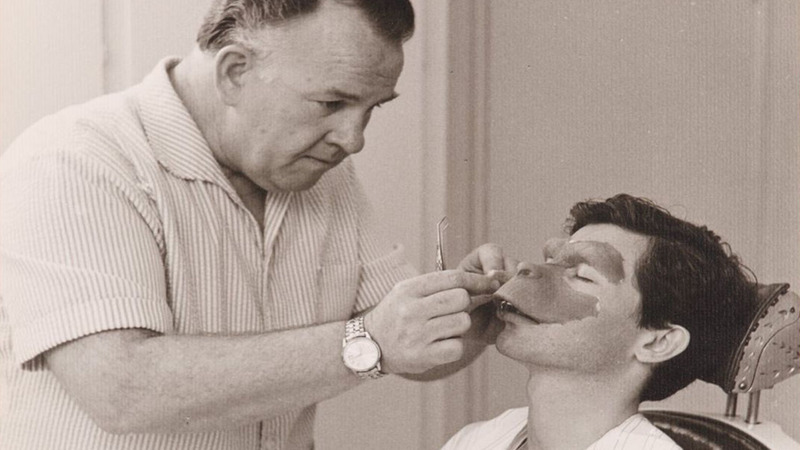 John Chambers was a make-up artist. Died at the age of 78.Throughout his career he was respected and regarded as one of the best in his field for prosthetics and special effects makeup. 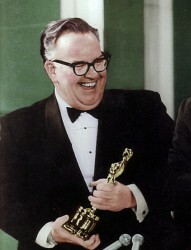 For his work on the film, Chambers won an Academy Award for Outstanding Achievement in Makeup—an award category specifically created for Chambers and his work on the film and the first award given for makeup. Chambers worked on the pilot episode of Mission Impossible and created the pointed ears worn by Leonard Nimoy’s Spock in the original Star Trek television series. 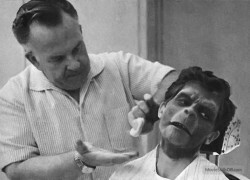 He also created Lee Marvin’s prosthetic nose for his Academy Award-winning role in Cat Ballou (1965), and a prosthetic chest for Richard Harris in A Man Called Horse (1970), where he was hung on pins for a native American initiation ceremony. Two make up creations from Island of the Dr. Moreau.